James R. Holmes and Toshi Yoshihara, “Mao’s ‘Active Defense’ Is Turning Offensive,” U.S. Naval Institute Proceedings, 137.4 (April 2011). When Alexander Gardner made this carte de visite at his studio in Washington on 5 February 1865, President Abraham Lincoln had the look of a war-worn leader. It was the last photograph taken of the President before he was assassinated slightly more than two months later. Lincoln’s strategy, of striking “with superior forces at different points, at the same time,” was by that time winning the American Civil War. While the powers in Beijing emerge from the “century of humiliation” and focus their gaze on the Indian Ocean, history could inform how China may be weighing its near-term strategic options in South Asia. China is gathering the rudiments of a naval presence in the Indian Ocean, a vital source of seaborne imports to fuel that nation’s swiftly developing economy. In so doing, it is venturing into unmarked territory, assuming an offensive stance unprecedented in modern Chinese history. 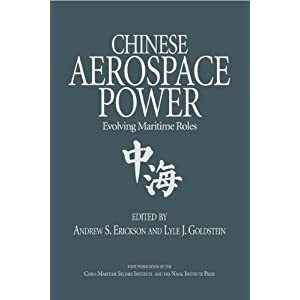 The basic assumption propelling Chinese strategy since the Opium Wars of the 1840s—which demonstrated the backwardness of Chinese forces against seafaring Western conquerors—is that China will start any conflict as the weaker belligerent. Chinese forces resort to the defensive so they can buy the time they need to turn the tables and prosecute a devastating counteroffensive. 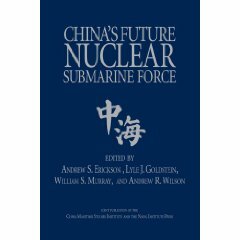 Indeed, Chinese Communist Party Chairman Mao Zedong founded his strategy of “active defense”—the concept that inspires and lends its name to China’s near-seas defense strategy—on this axiom of its contemporary statecraft. Changing circumstances have modified Mao’s insight. No longer is China necessarily the weaker antagonist when it engages foreign competitors. Still, taking the offensive across great distances represents a departure for Beijing as it attempts to repeal the long “century of humiliation” that began with the Opium Wars. To mount a serious forward presence in South Asia, the People’s Liberation Army (PLA) must approach the region along “exterior lines,” overcoming convoluted geography, competing requirements in China’s “near seas,” and opposition from an India that occupies the “interior position” in the Indian Ocean, with all the advantages that go to the defender holding its own ground. In short, a forward deployment to the Indian Ocean is becoming conceivable for Chinese rulers for the first time since the Ming Dynasty six centuries ago. 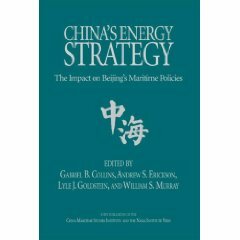 To all appearances Beijing understands the magnitude of such a project, its perils, and its potential for lost opportunities in East Asia. Should China’s leadership siphon off forces to the Indian Ocean, that is, it must accept greater risk in regional trouble spots like the Yellow Sea, the East China Sea, the Taiwan Strait, and the South China Sea. Those waters wash against homeland coasts, concentrating the attention of officialdom in a way few distant challenges can. 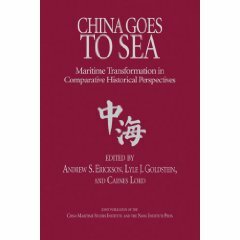 And the near seas constitute China’s historic maritime periphery, engaging national honor and prestige.